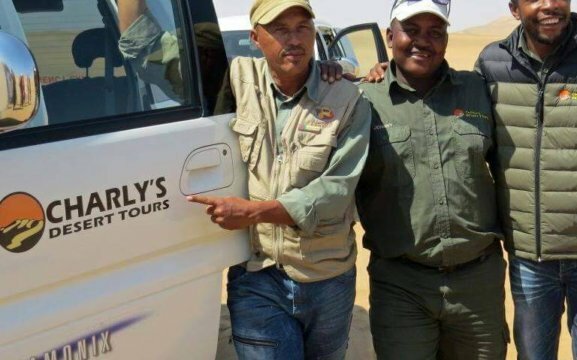 Charly’s Desert Tours is the oldest safari enterprise in Swakopmund with 50 years’ experience. We have become a household name for high quality day tours in the larger Swakopmund area. 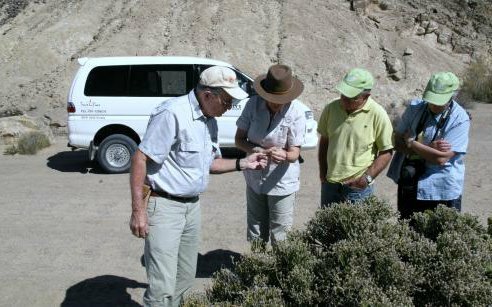 We take our guests on tours in our well-equipped vehicles and professional tour guides to activities in Swakopmund and Walvis Bay. 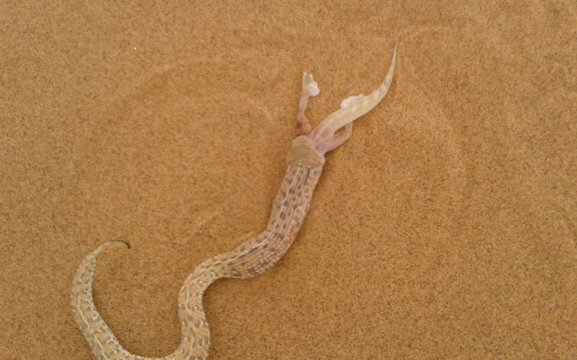 This half day tour explores the coastal dune belt of the Namib Desert on the edge of Swakopmund. There is a surprising amount of life in this harsh environment which to the untrained eye appears as large sand dunes. Our experienced and trained guides will amaze you with their tracking and observation skills and show you just how much life there actually is. Chameleons, Spiders, scorpions, Palmato Geckos, lizards, snakes and the fog-basking Tok-Tokkie beetle all survive in this delicate dune ecosystem. Ideal as a family outing. Free pick-up at any Swakopmund address. Mineral water included. Minimum of two adult guests. This 3 hour exploration will be rounded off with a short dune drive. We visit the ancient canyons of the Moon Valley which is considered to be one of the most fascinating areas of the Namib Desert. 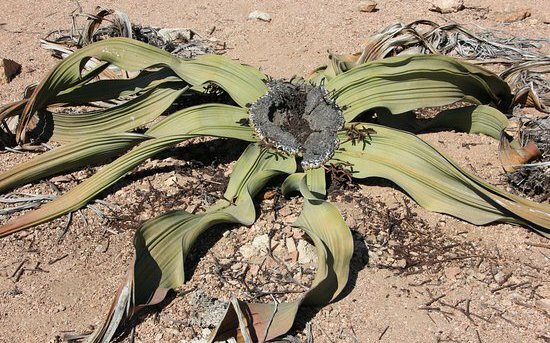 The famous weird looking Welwitschia mirabilis plant will be seen and the nutritional and medicinal use of this desert adapted plant will be explained to you. 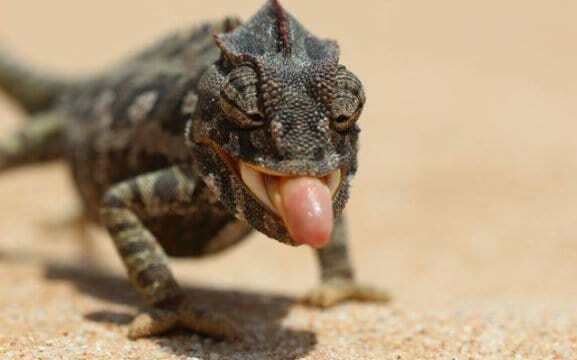 You will encounter much of the desert adapted fauna and flora of the Namib Desert and your guide will explain some of the ingenious techniques that these creatures and plants use in order to survive the extreme and harsh environment of this desert. This fascinating area is home to wildlife such as ostrich, jackals, springbok, klipspringer, the Karoo Chat and Swallow-Tailed Bee-eater and many smaller creatures too. A shady spot is where we stop for lunch and cold refreshments. 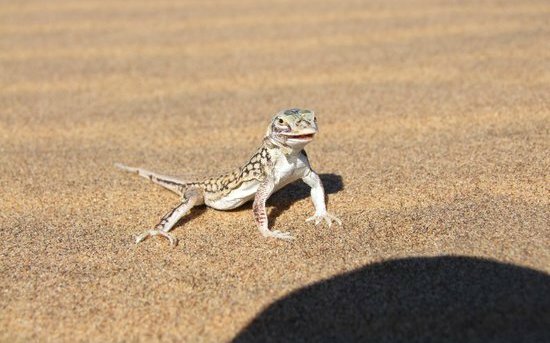 The Namib Desert Tour continues to along the Swakop River to Goanikontes, an “oasis” that played an important role during the colonial times. 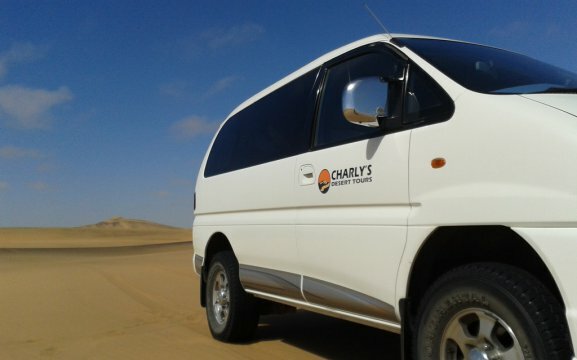 This tour includes free pick up anywhere in Swakopmund and departs with a minimum of 4 guests. This tour is also available as a half day tour. An exploration and discovery of the town of Swakopmund and its history, it’s well maintained Colonial styled buildings and Swakopmund’s origins. Insight will be given into the local people from all demographics and backgrounds. A drive along the Swakopmund beachfront where one can see the luxury homes and then travel to the nearby townships to see the contrasting living standards and property prices. An informative guided tour will how Swakopmund has developed from yesteryear to today. 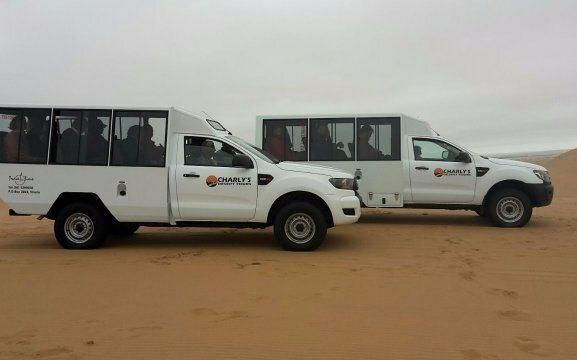 The Swakopmund Town Tour lasts 1.5 hours and requires a minimum of two adults. We can assist you with all your activity and booking requirements in Swakopmund. We provide booking services for Kayaking, Dolphin and seal Cruises, Quad biking, scenic flights and Sandwich Harbour trips….and many more.